Finding a bar to hire isn't always the easiest, however London is known for its cool cosmopolitan bar scene and there is plenty of choice to find the perfect venue for you. If you have an event coming up why not forgo the sit down dinner and start organising a night to remember! With venues ranging from the intimate to the extravagant; from exclusive bar hire to a reserved area - we have venues to suit all tastes, events and budgets. 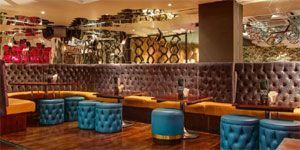 So whether you're looking for a bar for a birthday party in London, a venue to hire in London for your wedding reception or the perfect cocktail bar for your engagement party - browse the options below and enquire directly with the venue. In need of the perfect venue for an upcoming event? Check out our amazing array of restaurants, pubs, clubs and bars that offer Venue Hire in London. We've selected the best of the best and made your life super easy! If you're too wild for a sit down meal, but not wild enough for a club, our selection of Bars For Birthday Parties is for you! DJ bars, theme bars and everything in-between - We've really spoilt you! You've got the diamond, and now it's time to celebrate with your favourite people! Check out our list of Bars for Engagement Parties in London and start planning. We've got something for every budget, so you can rest assured it'll be a night to remember! With venues dotted across our capital city catering for all types of events, budgets and tastes - choosing the best bar to hire can be a bit like trying to find a needle in a haystack. Finding the perfect venue to hire can be a time consuming and stressful process, so we have done the hard work for you by selecting only the best bars to hire in London. We can help you find the perfect venue, whatever type of event you are organising. We are lucky to have some of the world's best cocktail bars in London and plenty of great pubs to hire too. Maybe you have a special event coming up and don't want to stick to the usual run of the mill venues that everyone is used to? Our Theme Bars to Hire page could be the answer to your prayers! If you're looking for inspiration, check out our Stylish Bars to Hire page; remember being stylish doesn't always mean expensive. 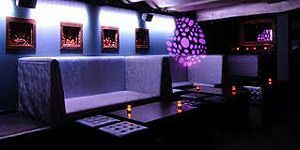 Unusual Bars to Hire is the best place to look for all your non-traditional needs or maybe one of our DJ bars to hire will help your event go off with a bang; after all what is a party without dancing? Have a browse through the options below and once you have found somewhere suitable, just click the 'enquire now' button and the venue will contact you with further information.